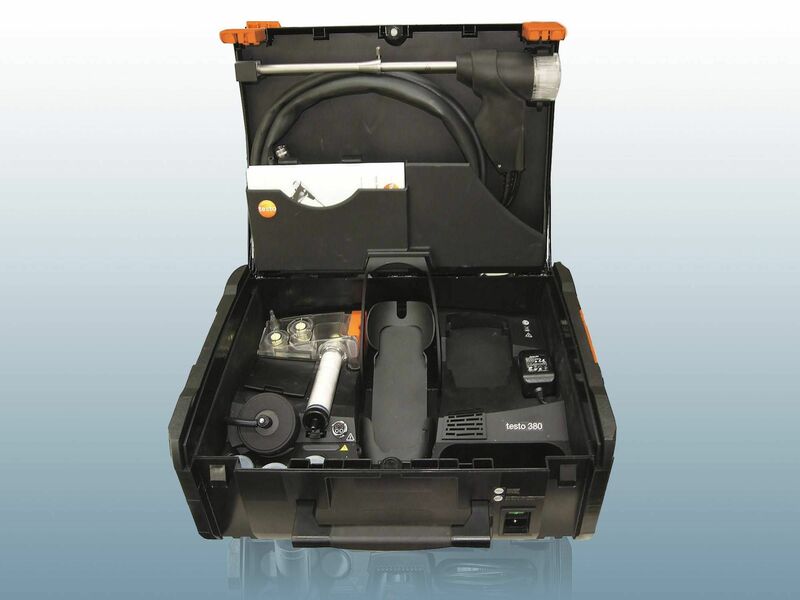 Testo's particulate matter measuring instruments are packed into a practical case. This gives you the advantage that they are easy to take with you to your operating areas. That is particularly practical for you. In your work, you have to adhere to important stipulations in terms of the regulations on particulate matter. However, that only works with the appropriate instruments. Our particulate matter measurement instruments mean you have a practical aid to hand. You benefit from having a pre-programmed measuring process which always proceeds in the same way for the individual measurements. That saves a lot of time. There are a variety of professions which make it necessary to comply with legal regulations relating to particulate matter. The profession of chimney sweeping is for instance one of these. However, heating engineers also come into contact with particulate matter and are required to be able to work with different measurements in this area. In these cases, it makes sense to use a particulate matter measurement instrument. The practical instruments which undertake digital measurements and carry them out in real time enable you to respond quickly if the values are too high. 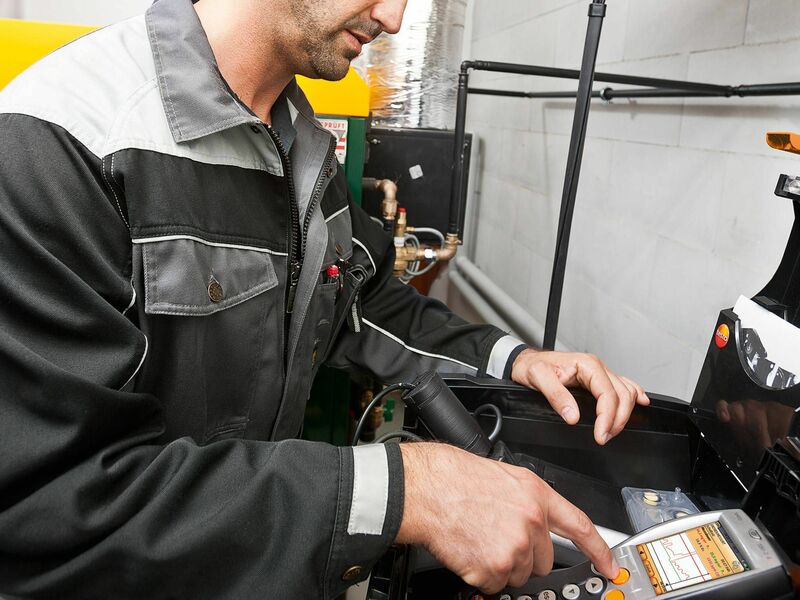 The instruments in Testo's range are approved for the various fuel classes. You therefore not only ensure the protection of people in the direct vicinity of the systems, but also enable more effective environmental protection. The investment in a particulate matter measurement instrument of course needs to be well thought out. However, if your tasks include setting combustion plants, or possibly even being required to carry out acceptance test measurements, there is no way round it. Basically, here you have values which have to be adhered to. On-site particulate matter measurements are therefore part of your day-to-day work and serve to protect both the environment and people. It is important for you to be able to rely on very sophisticated sensor technology. This helps you to get a better overview and to obtain very accurate values. 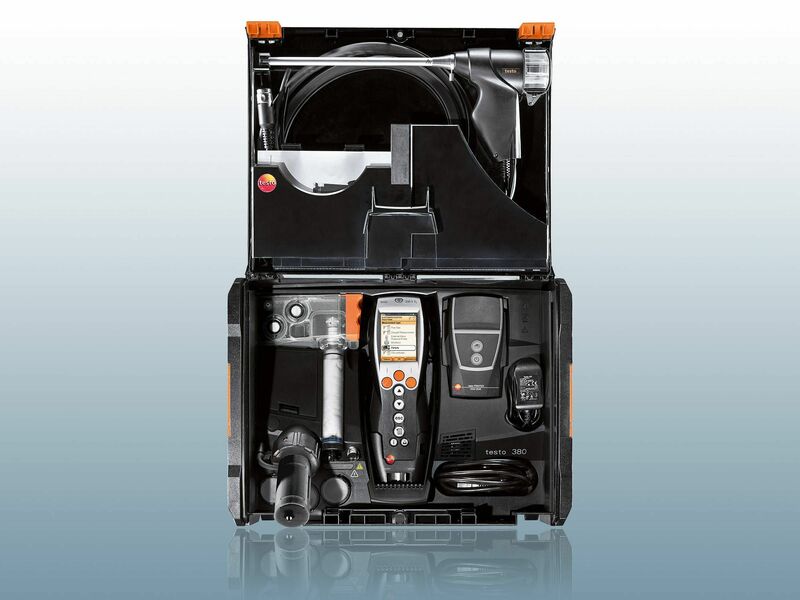 Testo's instruments are specifically designed in this way and offer sophisticated technology, which works very reliably and provides accurate measuring values. Depending on the instruments, the measuring values can even be read out directly on the display. In other words, you already have an analysis on site and can inform the customer of the results. If you rely on the possibility of the particulate matter measuring device being combined with flue gas analyzers, attention should preferably be paid to compatibility when making a selection. Particulate matter monitoring is of course an important factor in terms of health and environmental protection. However, the general checking of flue gas values in specific areas must not be underestimated either. The combination of several instruments may prove to be very expedient here. Technology has now progressed so far that you have the possibility of combining different instruments and then comparing the values with one another. Thus, for example with oil heating systems in particular, it makes sense to use a smoke tester too. The emission analyzer is also used to obtain general values, whereas the nanoparticles measuring instrument can be used to check nanoparticle exposure in the environment. It serves to protect the health of people who work in the direct vicinity of industrial equipment which can be expected to emit nanoparticles. The combined results of the instruments mean you benefit from a very detailed assessment that can be relied on. No matter whether you are a heating engineer or a chimney sweep, you need no further instructions as far as the instruments are concerned when it comes to particulate matter measurement. You can obtain very accurate and reliable data with the instrument. 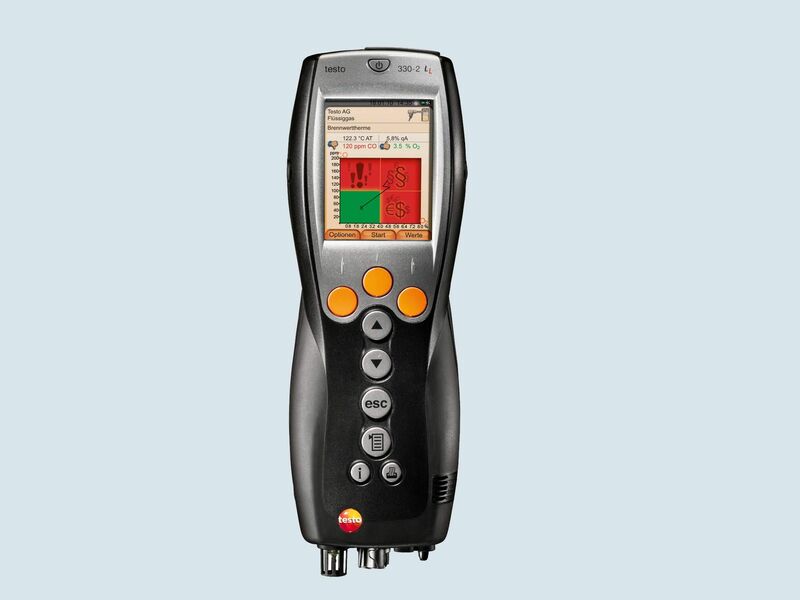 The design of Testo's products means they can be used for all fuel classes. In this respect, the A, B and C fuel classes are covered. In addition, there are limit values which have to be complied with and that can be displayed by a flue gas analyzer. Levels 1 and 2 can also be detected using the instruments. You are aware of how important the use of particulate matter measurement is and you are also legally required to carry out a check. This means it is important for you to be able to rely on your instrument. 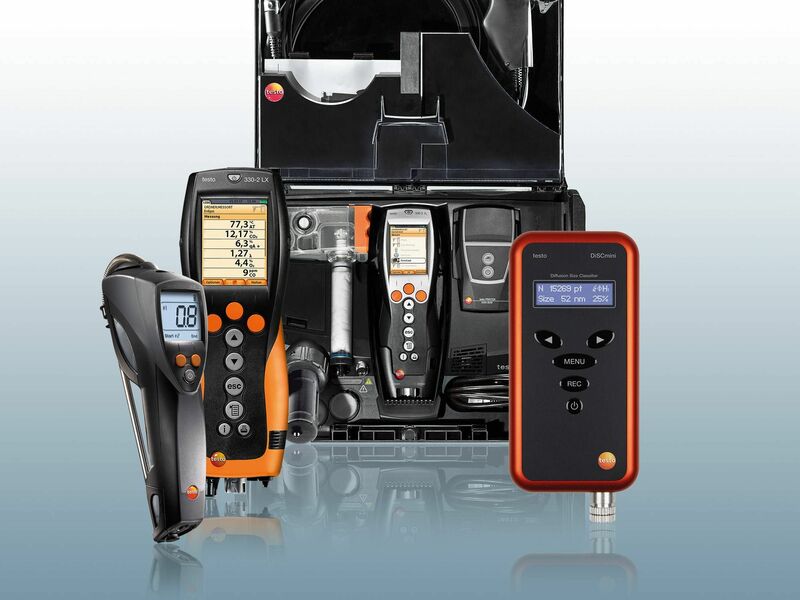 At Testo, we have therefore put together a range of exclusively high quality and high tech models for you to use. Our detailed descriptions tell you all about the features and the application of the instruments. Over recent years, it has become more and more evident that nanoparticles and particulate matter in particular have an impact on the environment and health. Whereas nanoparticles constitute an umbrella term, particulate matter specifically refers to emissions from special systems. It may therefore make sense not just to use a classic nanoparticles measuring instrument here, but to rely on a sophisticated particulate matter measuring device. 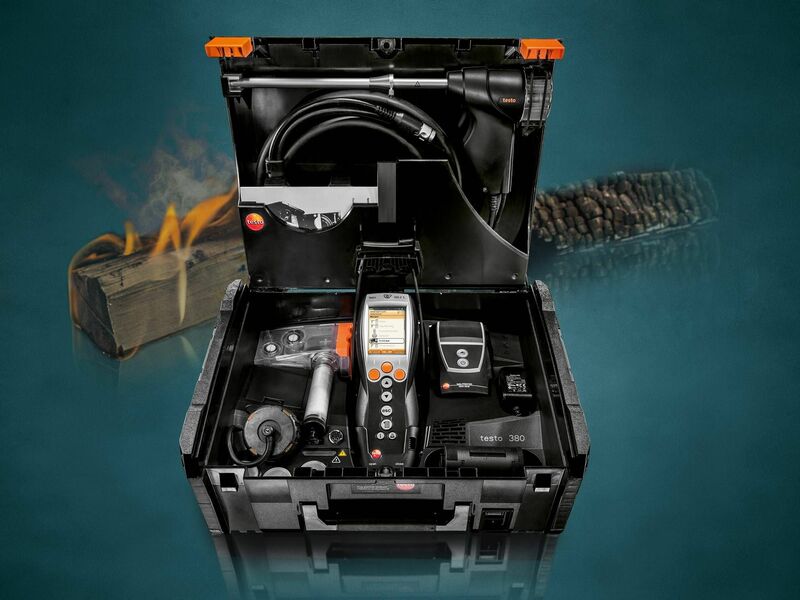 No matter whether you are carrying out particulate matter measurement as a chimney sweep or a heating engineer – the handy, digital instruments are a practical aid.